This ceiling light fixture features an elegant design with sleek simplistic lines that create a modern art feel. This is a statement maker with endurance to last. Made with solid steel construction to look great and last for years to come. This convertible semi-flush features a casual design with metalwork finished in oil rubbed bronze and a beautiful light amber glass shade. Includes 6-ft of chain and 10-ft of wire for easy conversion to a pendant. 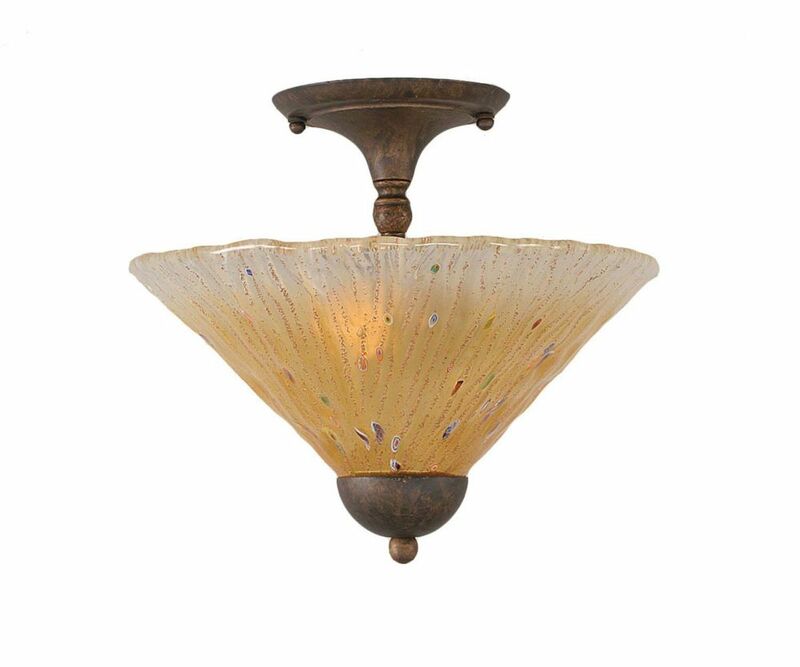 Concord 2-Light Ceiling Bronze Semi Flush with an Amber Glass The cornerstone of the concord Collection is quality, and this semi flush is no exception. Combining a classic bronze finish and posh styling, you will find no better way to highlight the charm of your home. With the superb craftsmanship and affordable price this fixture is sure to tastefully indulge your extravagant side.